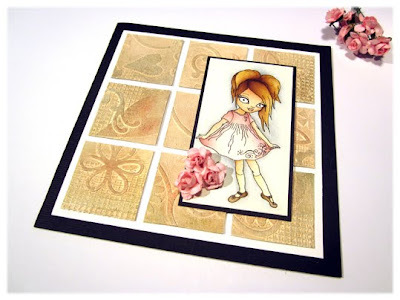 Craftalicious Challenge has an easy challenge this week, and the challenge is "do whatever you like, just wow us with your amazing creativity". I made this card for the challenge, and the background is made by me. 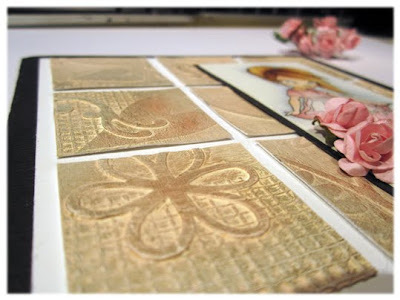 I have used multi-medium from Cladine Hellmuth together with gesso and distress ink. The motive is colored with distress ink and waterbrush. Craftalicious Challenge har en enkel og grei utfordring ute, og det er kun å lage hva man selv ønsker bare man viser kreativiteten sin :-) Ja, men det har jeg jo gjort her også, håper jeg! Har lekt meg med mulit-medium fra Claudine Hellmuth, i tillegg til gesso og distress blekk. Motivet er fargelagt med distress blekk og vannpensel. Oh Connie she is pretty. Wonderful card have yo made. Awesome. Hi Connie thanks so much for visiting my blog. 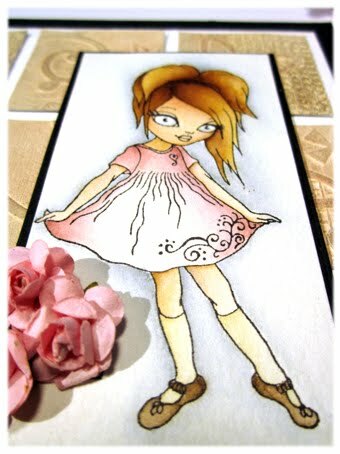 Your card is stunning! Love the background you made. Kjempeherlig kort, Connie. Tror jeg må finne frem bruksanvisningen til bakgrunnen du har laget, for den er jo så stilig ! Connie, first of all thankyou for your kind comments on my blog. They are very much appreciated. Secondly, I am so happy that your comments brought me here to your blog which is GORGEOUS. I love it.